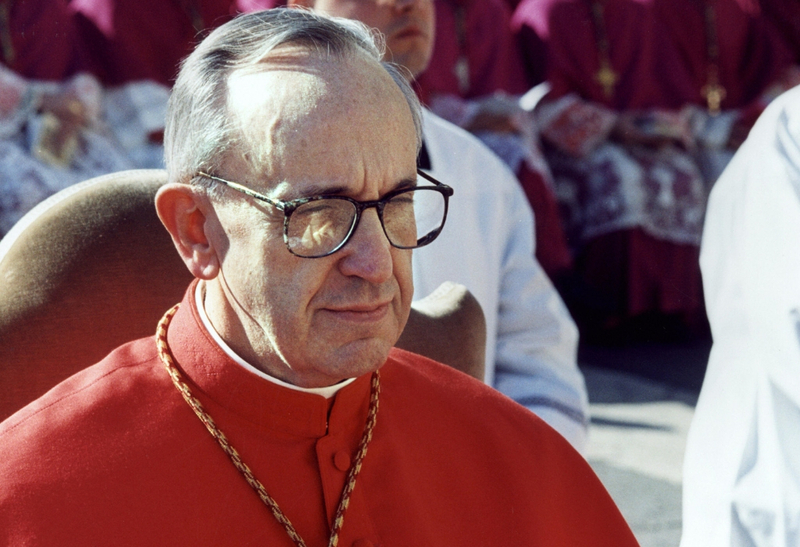 Red shoes have a long history within the Catholic Church. 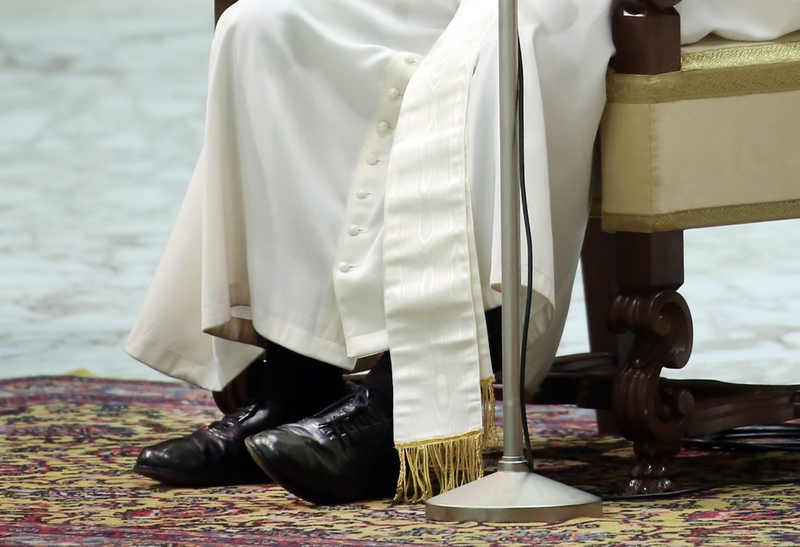 Known as Papal Slippers, wearing red shoes was meant to symbolize the blood of Catholic martyrs that have been spilled over the years. Popes are supposed to have indoor and outdoor Papal shoes, but Pope Francis refuses to wear them. Instead, Francis wears his favorite black shoes that were made in his native country of Argentina. One of his friends gifted him the shoes just days before he left for Rome to become Pope. Catholics seem to love Pope Francis’s tango obsession. 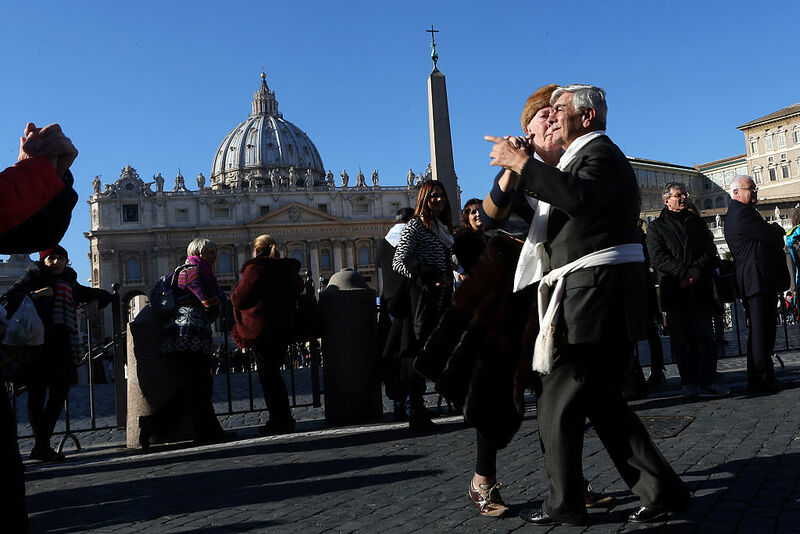 To celebrate his 78th birthday in 2014, tango enthusiasts danced for him in front of the Vatican in St. Peter’s Square. Next, Pope Francis is known to do this sneaky act every once in a while. Multiple reports have proven that on more than one occasion, Pope Francis will sneak out of the Vatican without anyone’s knowledge. 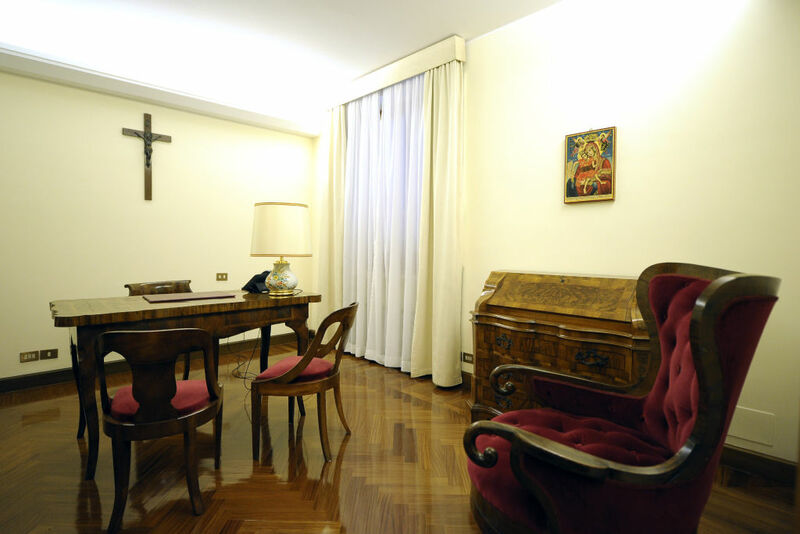 The first known “escape” happened the morning after his election to pope on March 14, 2013. 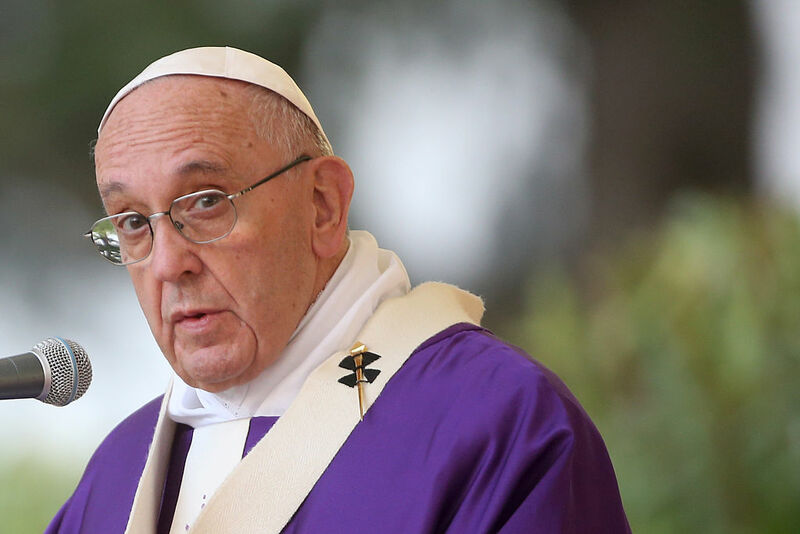 He reportedly snuck away from the crowds surrounding the Vatican in a motorcade of unmarked vehicles so he could go pray in the Roman Basilica. He’s also been found sneaking out of the Vatican multiple times at night dressed as a regular priest to meet with homeless men and women. 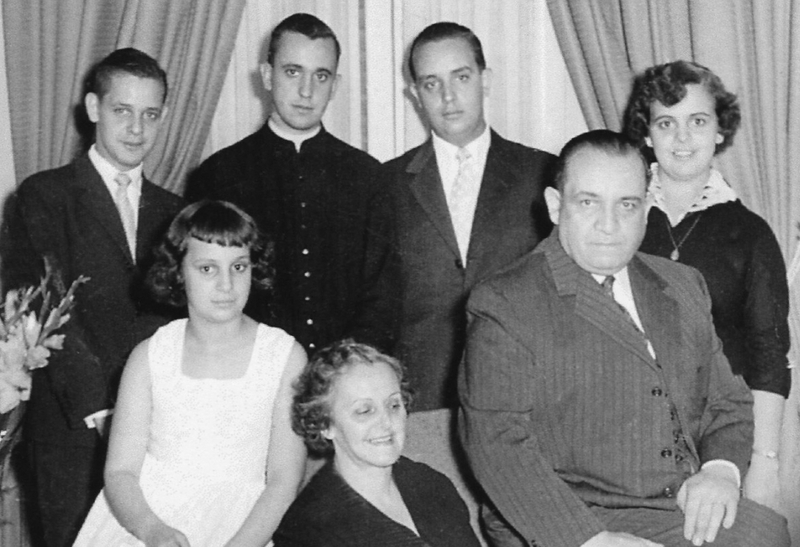 Pope Francis was really born Jorge Mario Bergoglio in Buenos Aires, Argentina. That makes him the first pope to ever hail from a Latin American country. That’s a pretty impressive feat considering the fact there have been 266 popes and more than 200 of those were from Italy alone. 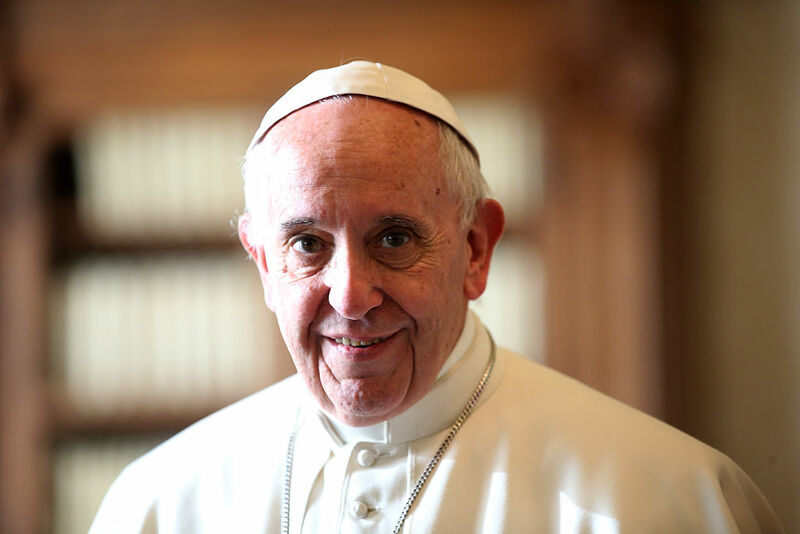 Being the first from Latin America also makes Pope Francis the first pope from the Southern Hemisphere and the first non-European pope since Gregory III in 741. 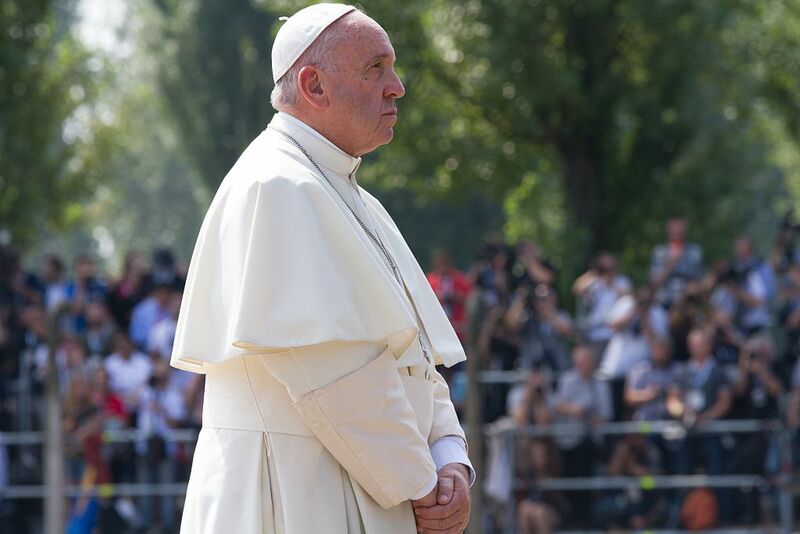 Pope Francis ushered in a new era of healing and comforting people around the world, rather than infighting. Keep reading to learn about Pope Francis’s weird Harley-Davidson connection. 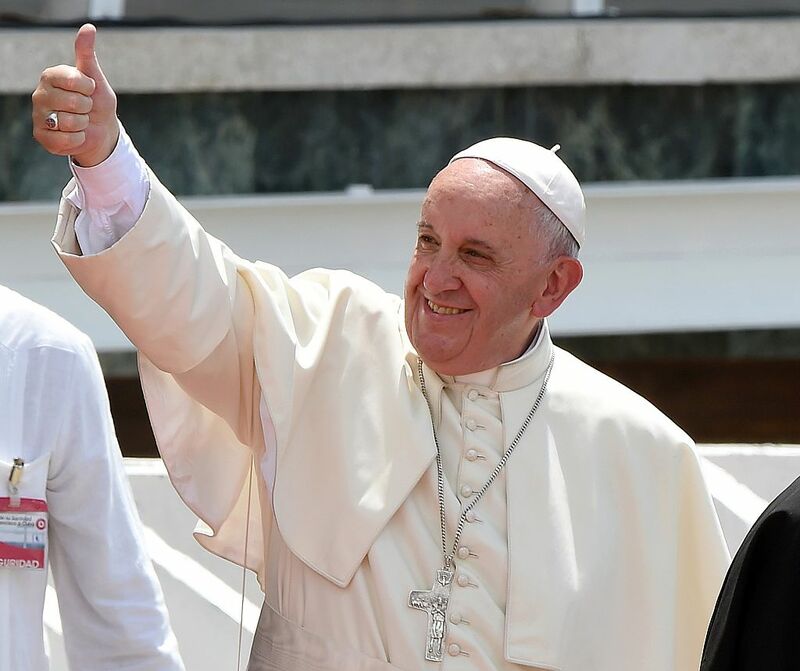 If the regular iPhone or Android emojis just aren’t cutting it anymore, then you can now download the Pope Francis set of emojis that are appropriately called Popemojis. 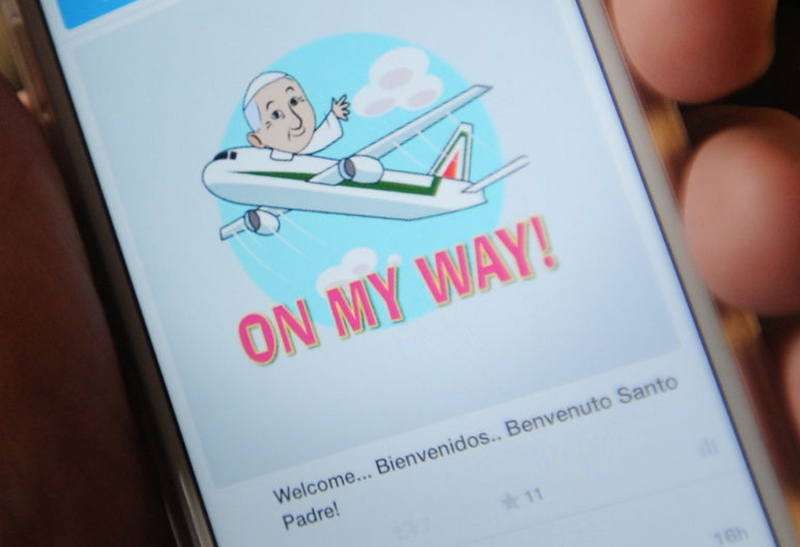 The Popemoji set was created by Swyft Media to honor his visit to the United States in 2015. The Popemojis are meant to “reflect his sense of humor.” There’s the normal Popemojis of Francis washing feet and kissing babies, but there are also ones of him playing soccer and eating hot dogs. 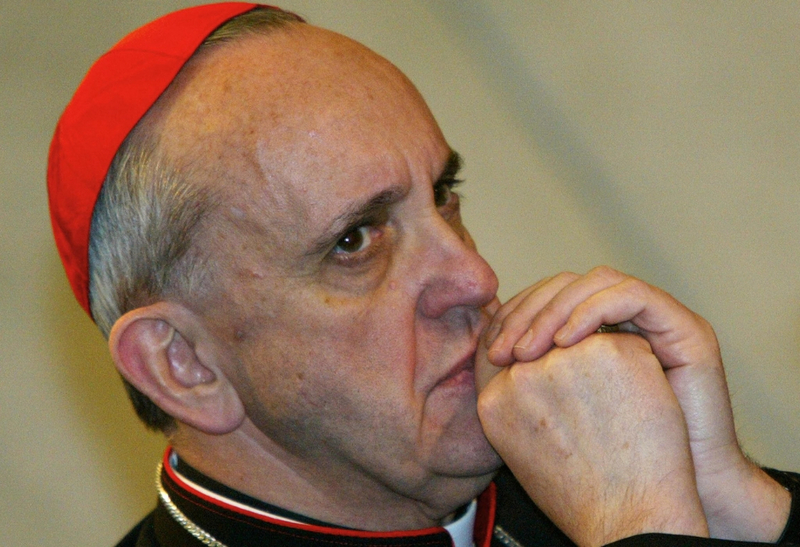 According to one Italian blog, Pope Francis is said to have mentioned fantasy author J.R.R. Tolkien as one of his favorite and most inspiring writers. Francis used his love of Lord of the Rings to inspire a 2008 Easter message to teachers in Argentina. Pope Francis said he was particularly fond of Frodo and Bilbo because they were “hopeful heroes” who took up the challenge of walking a path towards good and away from evil. Many people would probably be surprised to hear that the head of the Catholic Church has ties with American motorbike company Harley-Davidson. Willie Davidson, the grandson of one of Harley-Davidson’s co-founders, decided to gift a 1584-cc motorcycle to Pope Francis on the 100th anniversary of the company. Pope Francis graciously accepted the gift, but sadly, we’ll never get to see him ride it in his gown. 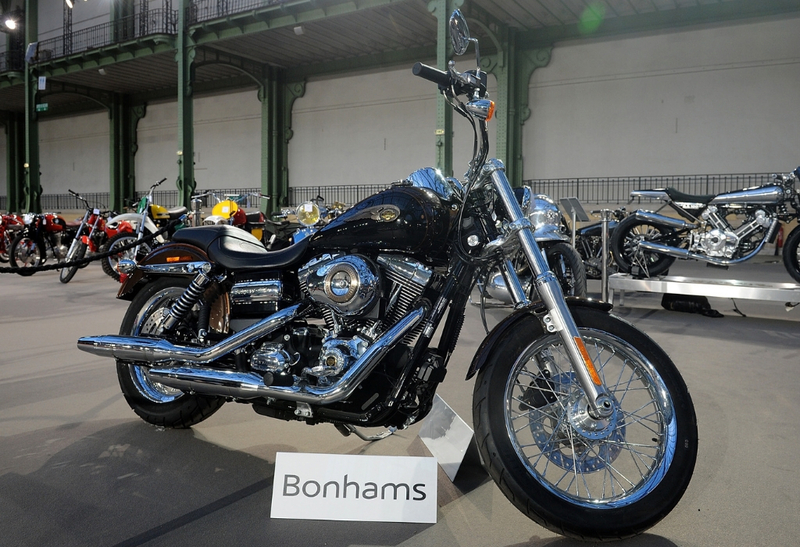 Francis chose to auction off the bike for $327,000 and proceeded to donate the money to soup kitchens in Rome. 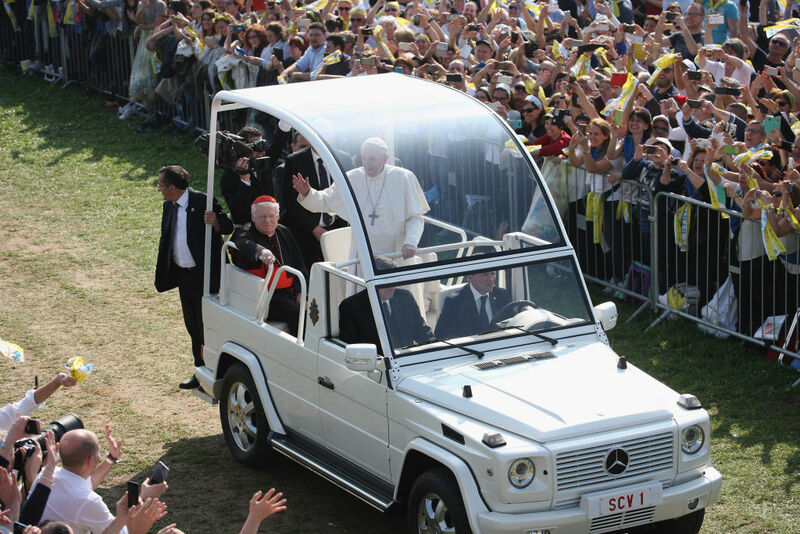 Coming up, find out why Pope Francis absolutely hates the Popemobile. Yes, becoming the pope means you’re the head the Roman Catholic Church and essentially a messenger for Christ, but it also means you don’t get to walk down to your favorite pizza joint for a slice of ‘za anytime you please. 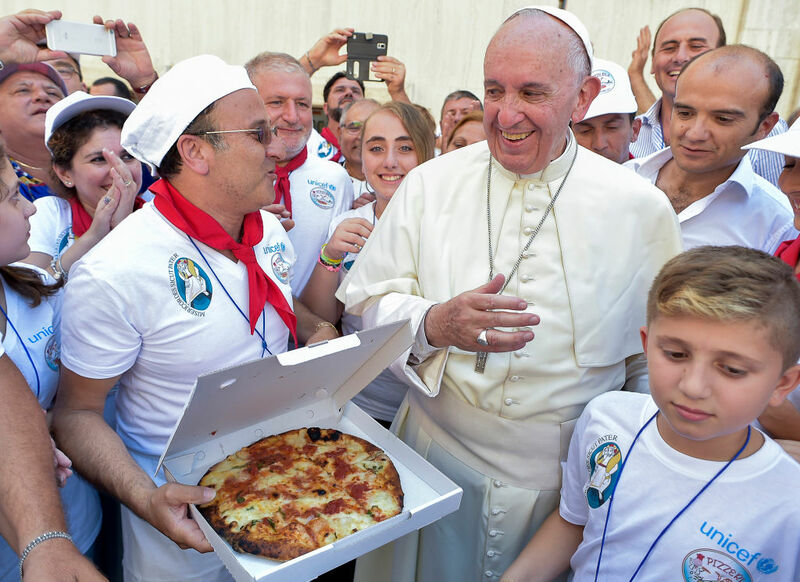 Pope Francis said that going out for pizza is what he missed most after becoming pope. He’s tried his best to fill the void though, including the time he ordered a 13-foot long pizza for his 81st birthday. Until Pope Francis, most popes stayed at arm’s length from the people unless it was a set-up photo-op. Francis employs almost the exact opposite tactic. He’s a fan of walking up to the crowds and never shies away from a good selfie. The people seem to love the pope’s tactics, but his security detail does not. 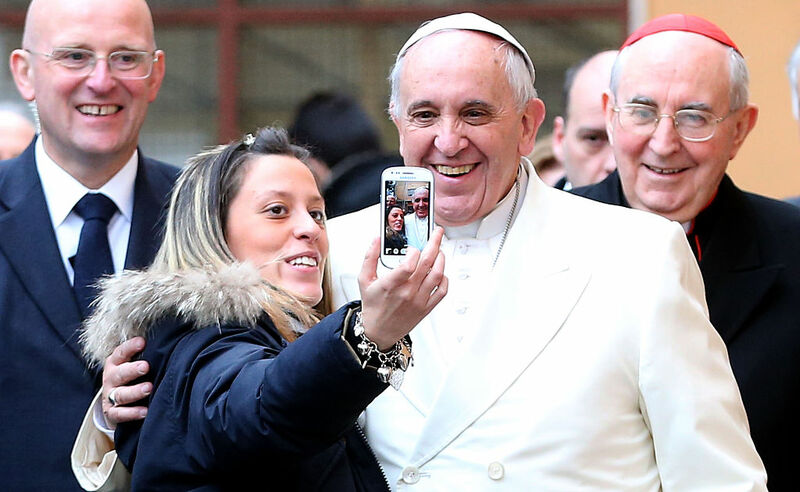 Pope Francis even tries to shake his security details every once in a while to get close to the people. He’s also known for taking more humble forms of transportation like Fiats, Jeep Wranglers, and his personal favorite—the Ford Focus. 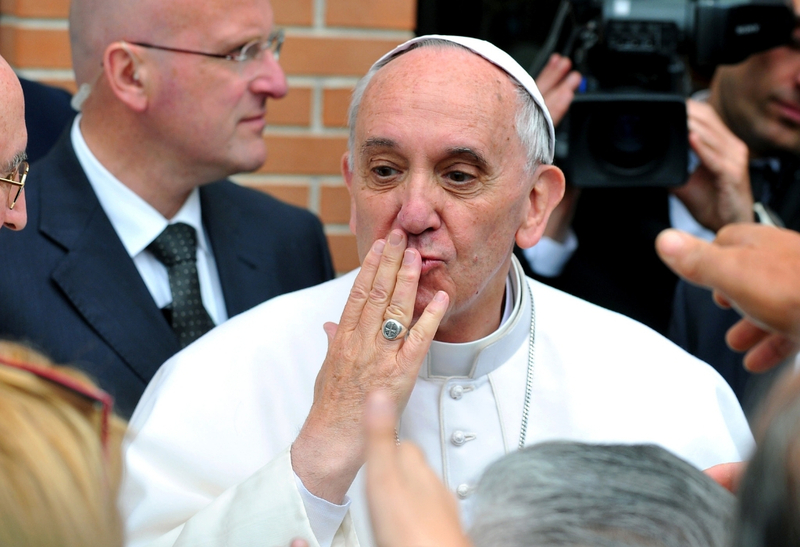 You’ll never guess what jobs Pope Francis held as a kid. 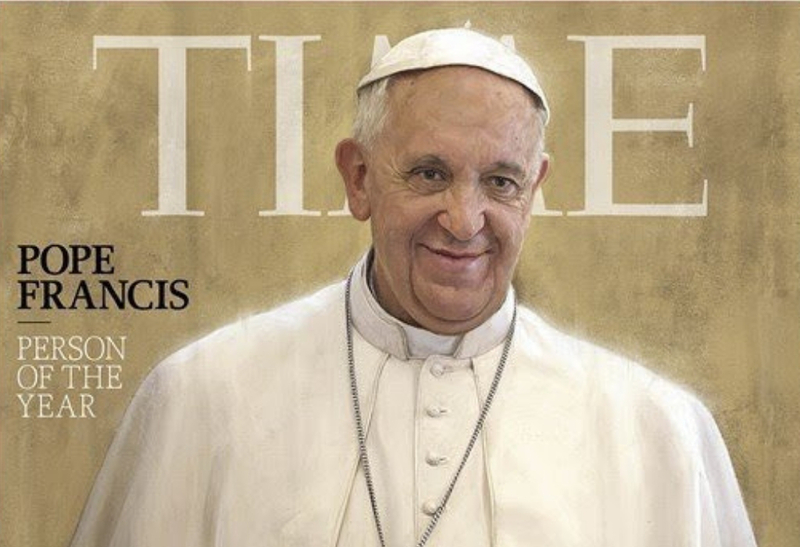 Pope Francis is the only pope who has ever made the cover of the music magazine Rolling Stone. By landing a cover page, he joined the ranks of everyone from President Obama to Tupac Shakur and Stevie Nicks. The article that accompanied his cover photo called him a “papal celebrity” and a “revolutionary.” An in-depth story about the pope by a music magazine is definitely something the Vatican could have never prepared for. 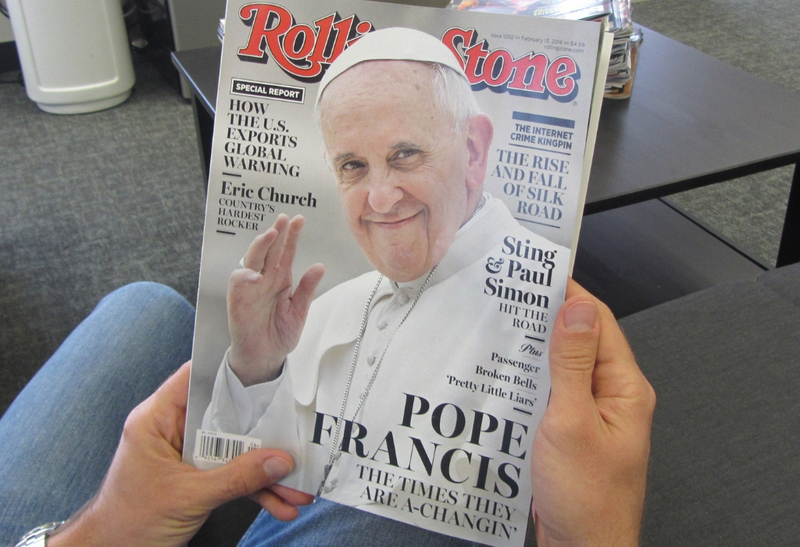 Okay, maybe landing a cover on Rolling Stone magazine isn’t as weird as we thought now that we know Pope Francis also has a pop-rock CD. 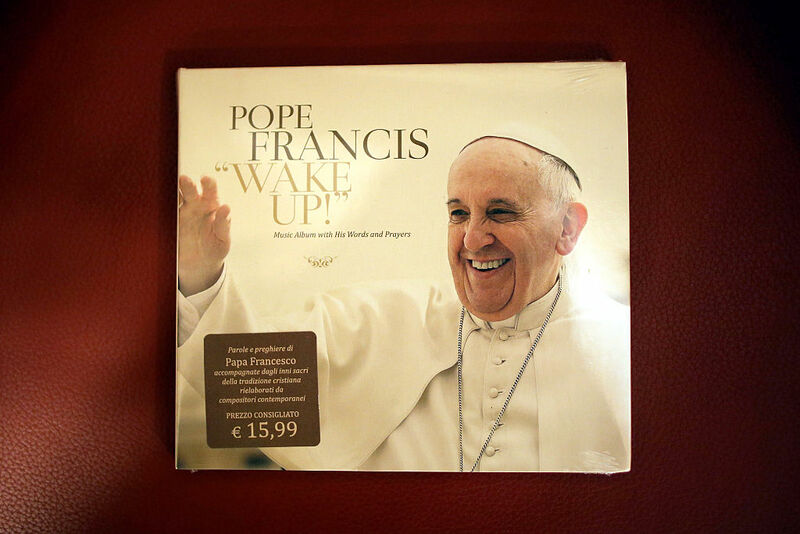 The album is called “Wake Up!” and is a collection of Francis’s speeches and prayers to upbeat pop music by various artists. The album didn’t exactly reach No. 1 on the Christian and Gospel charts, but it definitely made some of his speeches more lively. Before Pope Francis dedicated his life to being a priest, he held just as many odd jobs as you or me. 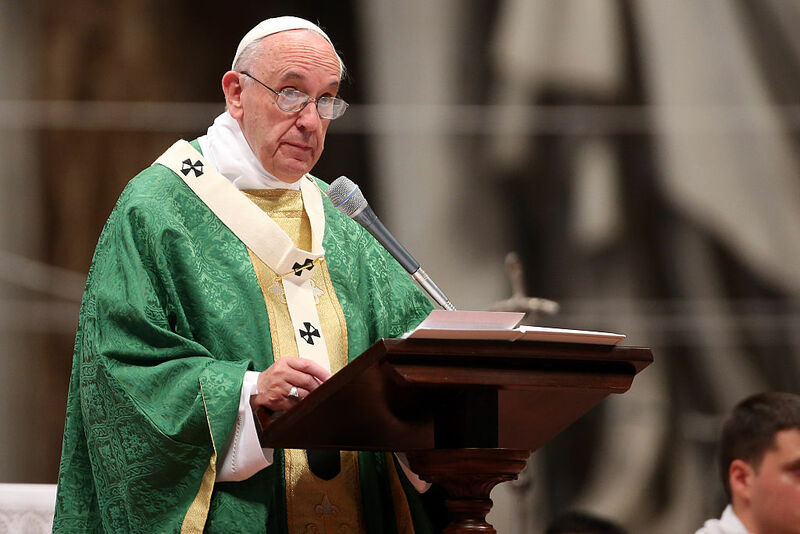 During a speech to Catholics outside the Vatican in 2013, Pope Francis told the crowds that he worked as a janitor sweeping floors and even spent time as a night club bouncer. The speech solidified his position as the people’s pope and reminded everyone that it’s never too late to find your religious path in life. 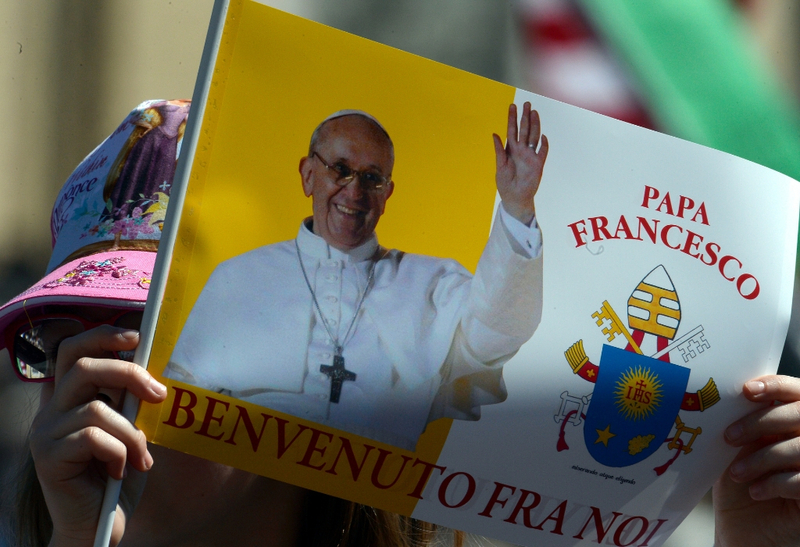 One of the requirements for being pope is that you’re able to speak a multitude of languages. 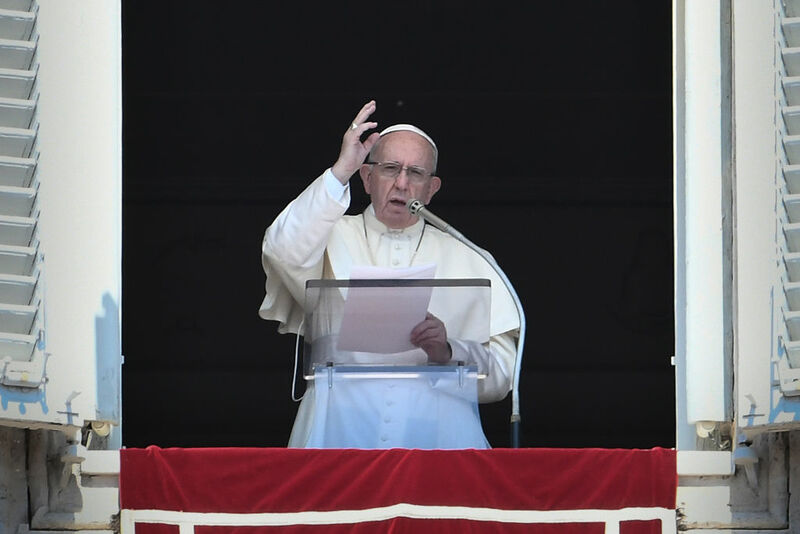 Alongside his native language of Spanish, Pope Francis is also fluent in Italian, Portuguese, French, German, Ukrainian, and Piedmontese (which is a dialect of Italian). To top it off, he’s also studied Latin, Biblical Hebrew, and Biblical Greek. The requirement came from the Biblical story of the Tower of Babel when God divided humanity into different languages. Being multilingual is meant to unite humanity. The most multilingual pope was John Paul II, who could deliver Easter greetings in 60 languages. 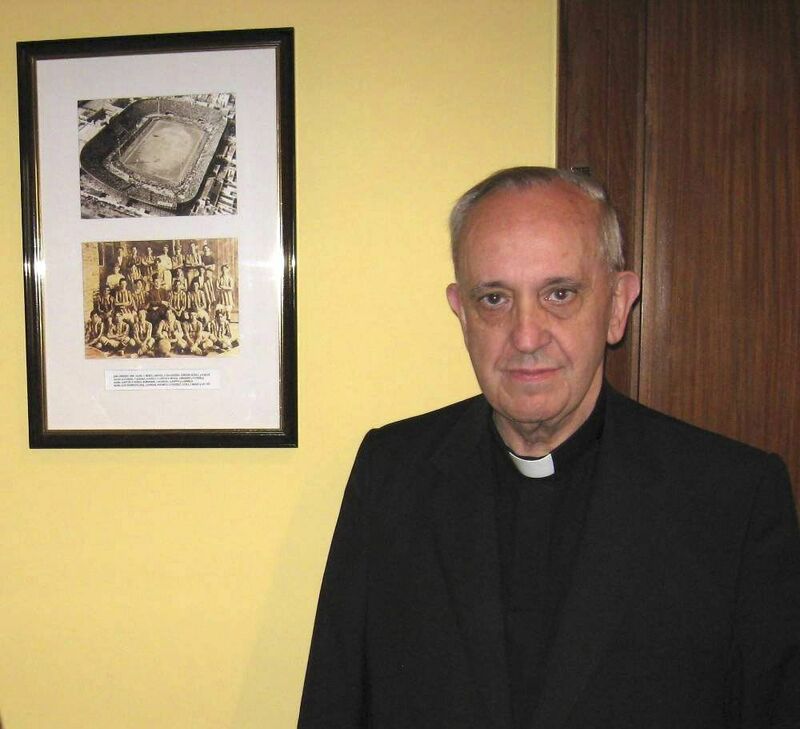 Francis is also the first pope that hails from the Jesuit faction of Catholicism. The Jesuit church was established in 1537. Rather than split from Catholicism like Lutherans, they were granted the ability to become priests. At the heart of being a Jesuit Catholic is that you believe in reforming the Catholic Church and by starting with the individual. That explains why Pope Francis took the vows of poverty, chastity, and obedience. Before he entered the Society of Jesus and committed his life to the priesthood, Pope Francis had dreams of being a chemical technician. He attended a technical secondary school and at age 19 received a certificate that’s equivalent to a college diploma in Argentina. This was a major accomplishment for Francis at the time. Although education is free in Argentina, it is rare for people to complete advanced schooling. His secular education and past use of the scientific method would be controversial later in life. 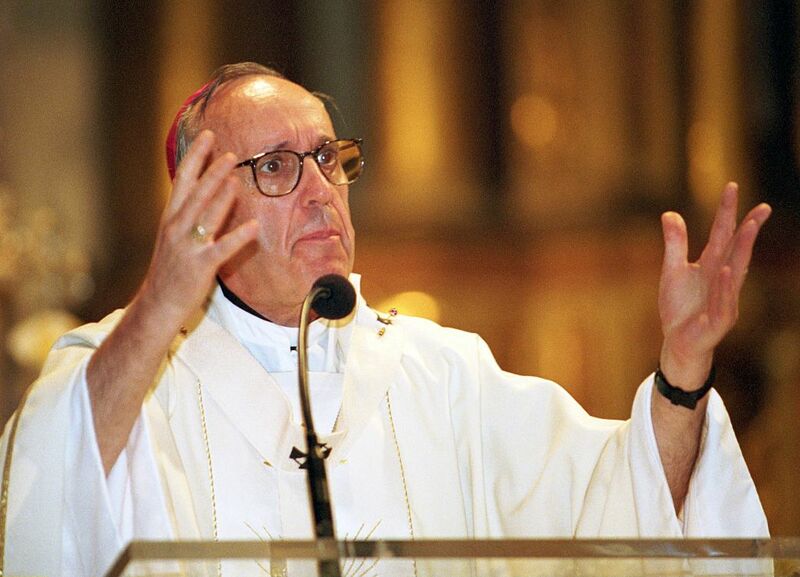 He might have had some odd jobs as a young adult, but once Francis decided to devote his life to the Jesuits, he went in with full commitment. After leaving his work in a chemical laboratory, Francis went on to teach literature and psychology. He taught for one year in Santa Fé, New Mexico, then went on to receive a doctorate in theology in Germany. After obtaining this degree, he joined the ranks of the two popes before him that majored in theology. When you ascend to become the pope, you get to choose what your official title will be. Many popes in the past have chosen the most prestigious or respect names, but Pope Francis did the exact opposite. He chose his name due to the humility and seriousness of St. Francis of Assisi. The name and association totally fit too. Pope Francis has always lived in a simple apartment, taken public transportation, and even flew economy to Rome when he was elected pope. Francis didn’t become Pope until 2013, but it wasn’t exactly out of the blue. After the death of the long-running Pope John Paul II, he reportedly received the second-highest number of votes, but Pope Benedict XVI won out instead. After losing out on the nomination, Francis returned to Buenos Aires and was named the President of the Bishops’ Conference of Argentina, where he stayed until Benedict XVI resigned in 2013. The communal apartment even has communal meals with the other priests that live in the 105-unit building. When he can’t actually be outside meeting with the public, Pope Francis still tries to interact with as many people as possible. He receives thousands of letters and communications from people and likes to follow them up with surprise personal phone calls. The phone calls were so out of the ordinary for Catholics that one Italian newspaper actually published an etiquette guide for what to do if the pope impulsively calls you. When Francis was just a simple bishop in Buenos Aires, he began the tradition of washing the feet of people in jails, hospitals, and who lived in poverty on the street. 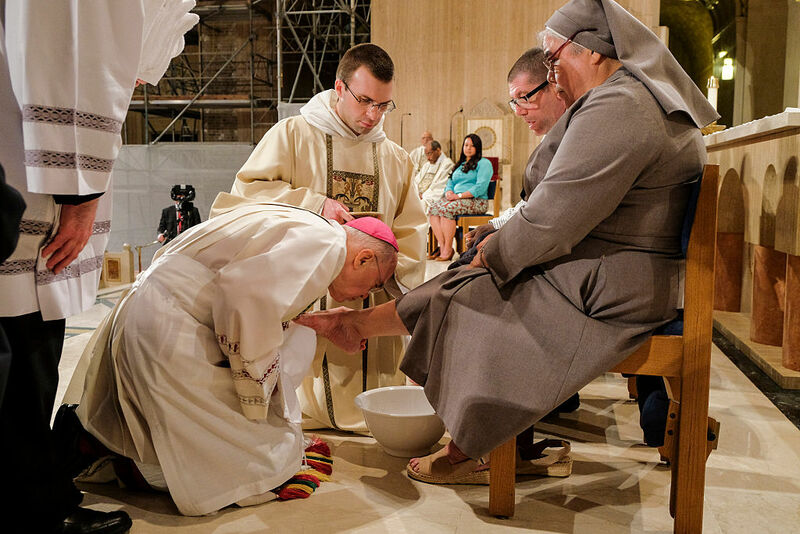 He washed feet every Holy Thursday and still continues the tradition today. In 2001, he went against the Catholic Church’s orders and washed and kissed the feet of twelve AIDS patients. He’s also been notable for including women and Muslims in this ritual. Latin Americans love soccer and Pope Francis is no different. He’s a huge soccer fan and has gone on record saying that Argentina’s Atlético San Lorenzo de Almagro club is his favorite soccer team. 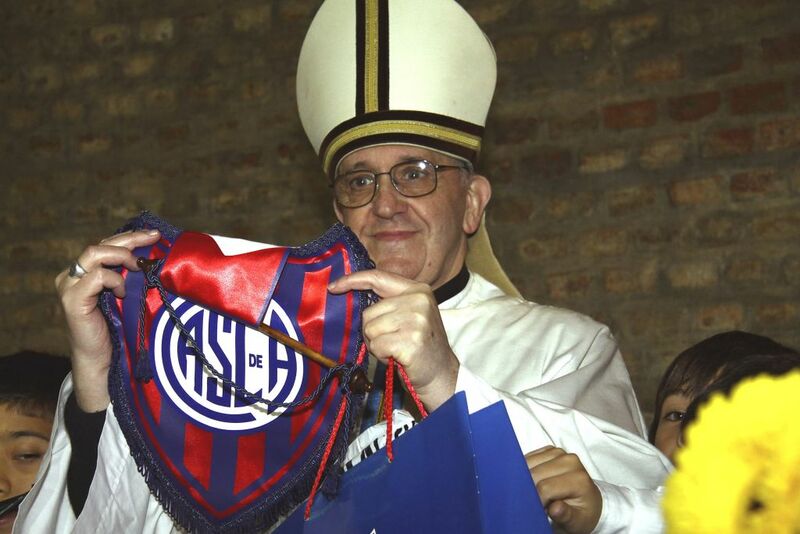 He’s even used his pope platform to advertise his favorite team. On the 70th anniversary of the soccer club, he invited the entire team to Vatican City to celebrate and show off their soccer skills for a crowd. Upon becoming pope, nearly every past pope has given up the citizenship of their native country and became citizens of the Vatican. 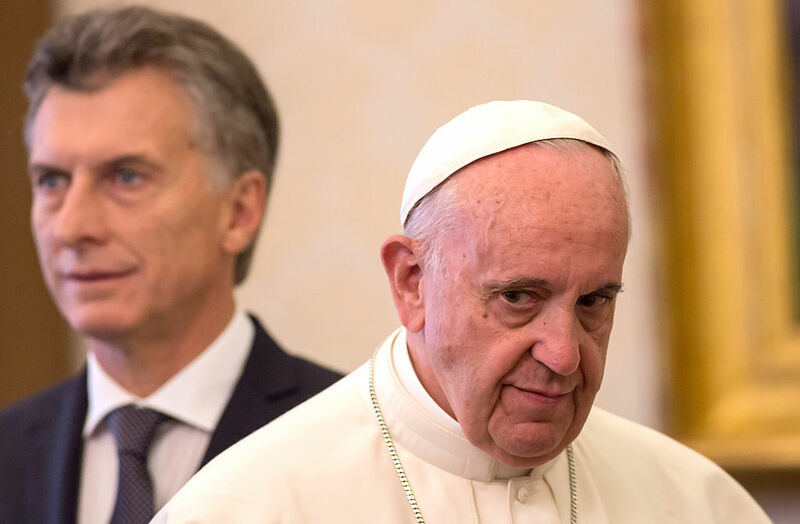 Francis made waves when he became pope by going against this tradition and choosing to keep his Argentina passport and private citizenship as well. 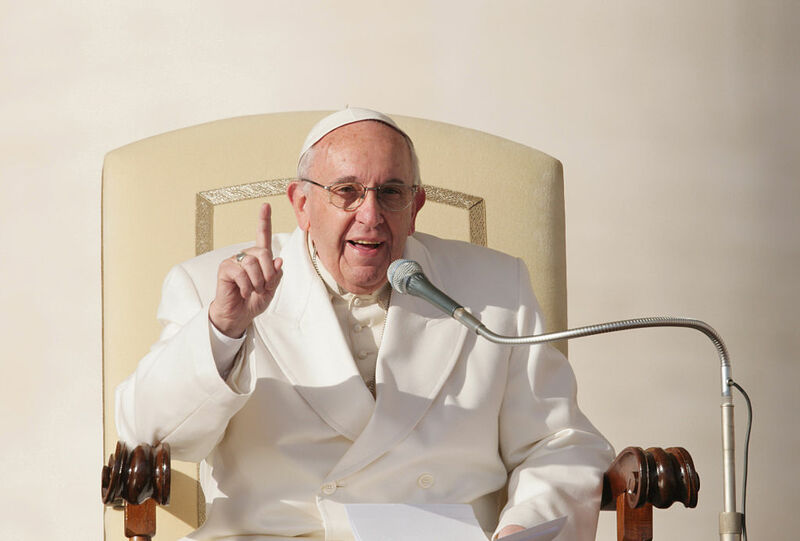 Pope Francis has also been given official Italian citizenship thanks to a longstanding tradition in Italy that grants citizenship if you have Italian parentage. 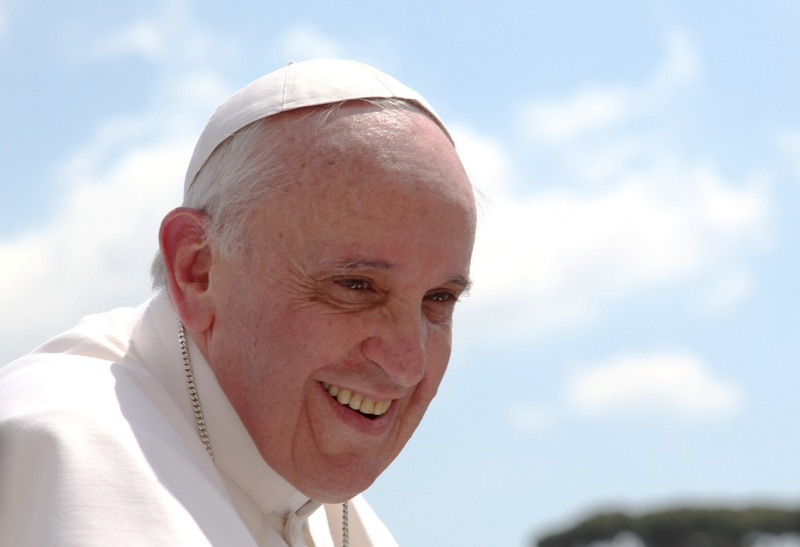 As a Jesuit priest, Pope Francis had to commit to a life in poverty, obedience, and chastity. That meant as soon as he began studying to be a priest, falling in love and getting married wasn’t exactly an option. Luckily for Francis, he had already experiences love early on in life. At the young age of 12, he fell in love with a girl from his neighborhood and reportedly told her that if the two didn’t marry, he’d become a priest. Well, at least he kept his promise. Francis followed this statement up three years later by saying the Church owes apologies to all LGBT+ who have been offended or exploited by the Church. He might be a life-long lover of soccer, but Pope Francis has also dabbled in basketball throughout his years. He played the sport as a young teenager because his father used to play basketball for San Lorenzo. 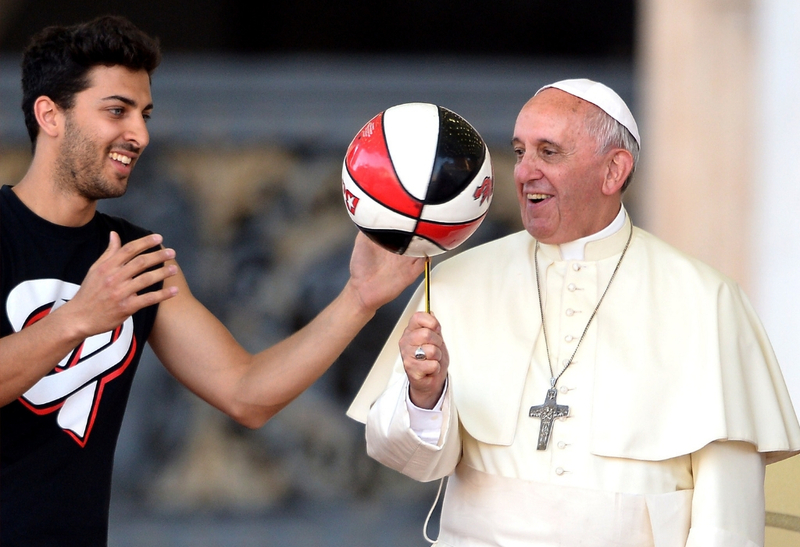 People all around the world have found commonality in the pope’s love of basketball. He often gets basketball jerseys as gifts. The most notable one was a personalized Boston Celtics jersey he received from the NBA team when he visited the United States. Haters gonna hate, and even the People’s Pope can’t please everyone. In his first three years as pope, Francis took many progressive stances on social and scientific issues like LGBT+ rights, evolution, Vatican corruption, and child abuse. His outspoken stance on these issues led to the crack-down and the excommunication of some Mafia members. Angering Mafia members led to him receiving numerous death threats, but thankfully, none of the threats have panned out.